Every Thursday, the residents of the Brookdale Assisted Living Community prepare for a treat as a parade of paws walk through their halls. 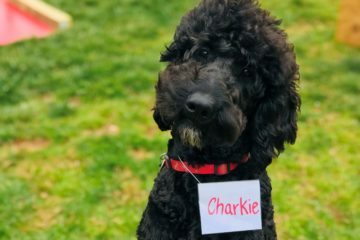 It’s not uncommon to see many residents enjoying stories about our dogs, reminiscing about their own dogs, or asking to see some of the “tricks” our dogs know. It’s also not uncommon to see wagging tails and doggie kisses. 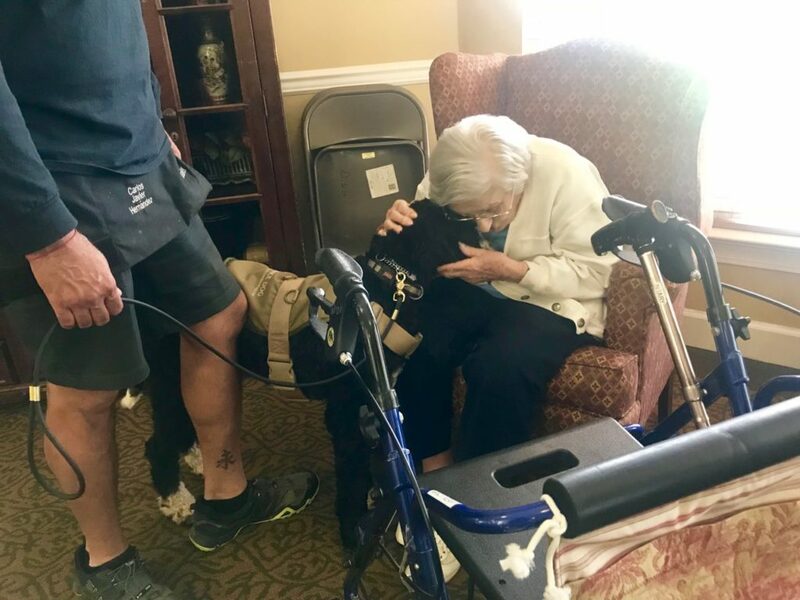 A favorite among the residents is also being able to offer the dogs some treats as they make their way from person to person for some loving attention. A typical day at the community starts with a warm welcome in the common area. 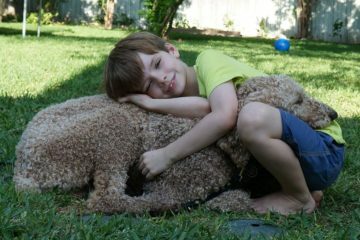 Our dogs go from person to person, happily accepting ear scratches, kisses, and treats. The dogs eventually get comfortable and take a quick nap, falling asleep to belly rubs, as the dog handlers and community residents share stories and chat about anything and everything. Though, as you can imagine, the most popular topic is always dogs. We then make our way through the hallways, stopping in for visits in the rooms of individuals who are always excited for some time with the dogs. One very adoring woman excitably sneaks trainer-approved cookies to the dogs. Another man loves sharing his favorite television show Gunsmoke with the dogs. And in one room, our dogs also get to spend a little quality time with a sweet Toy Poodle named Caramel who comes to visit her relative weekly as well. Nothing could replace the time spent with these lovely people and we are so happy to have the opportunity to visit our friends at Brookdale so often. 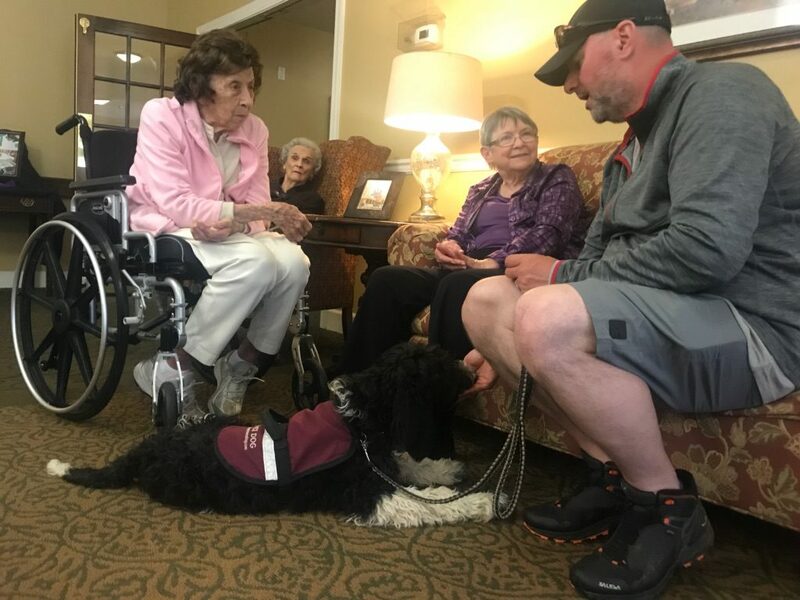 A therapy program such as our Dog Tales at Brookdale offers a world of benefits for both the residents and the dogs. The residents have the opportunity to pet these well-behaved dogs and enjoy the company of canines for a day. 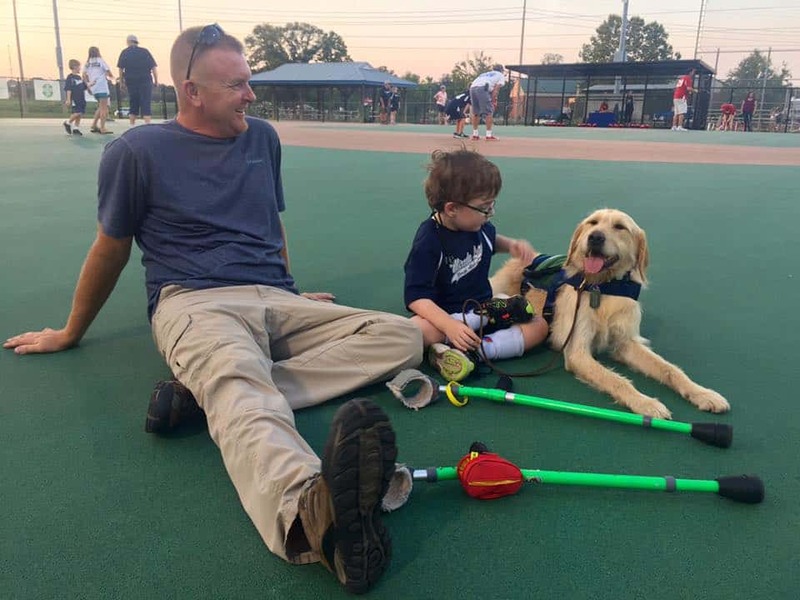 They enjoy being able to meet these dogs as young puppies and watch them learn and grow. 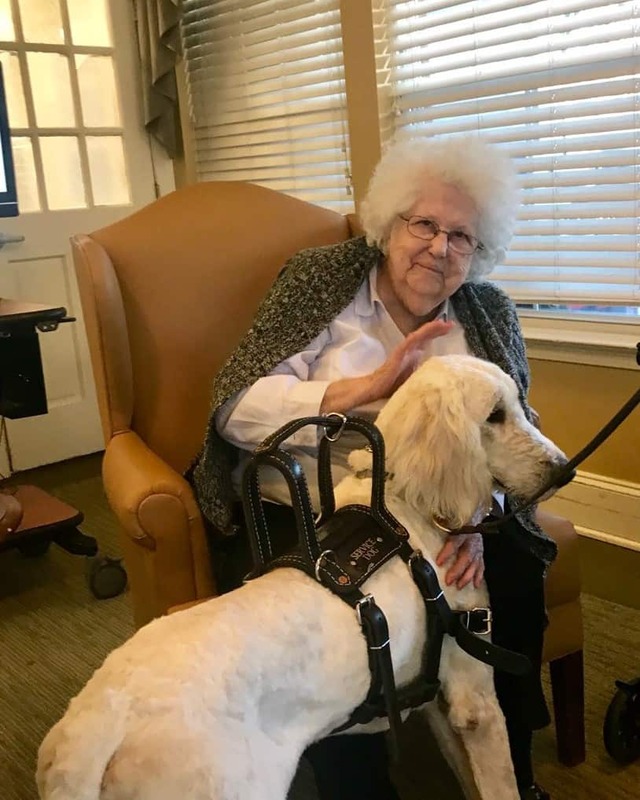 Once our dogs are fully trained and delivered to their families, the residents of Brookdale often ask of the dogs’ success in their new career as a service dog. The dogs grow up socializing with a variety of people and environments, becoming comfortable with people from all walks of life.